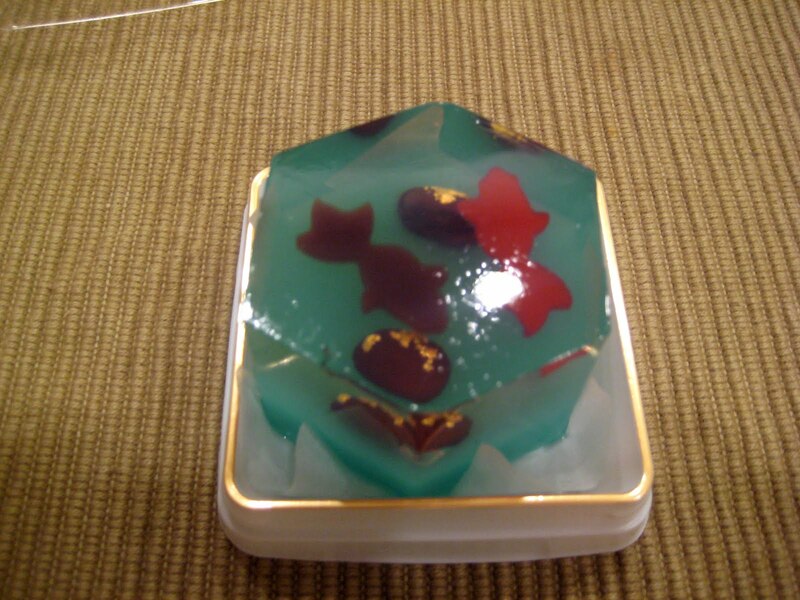 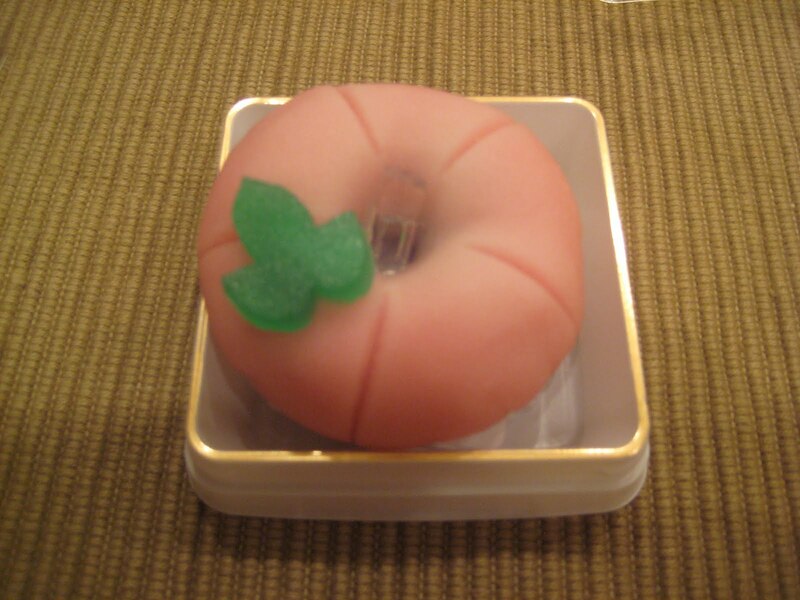 One looked like a peach, whilst another looked like a carp fish pond with fish swimming around in a jelly. It even had decorative "rocks" made from a bean with gold leaf on top. 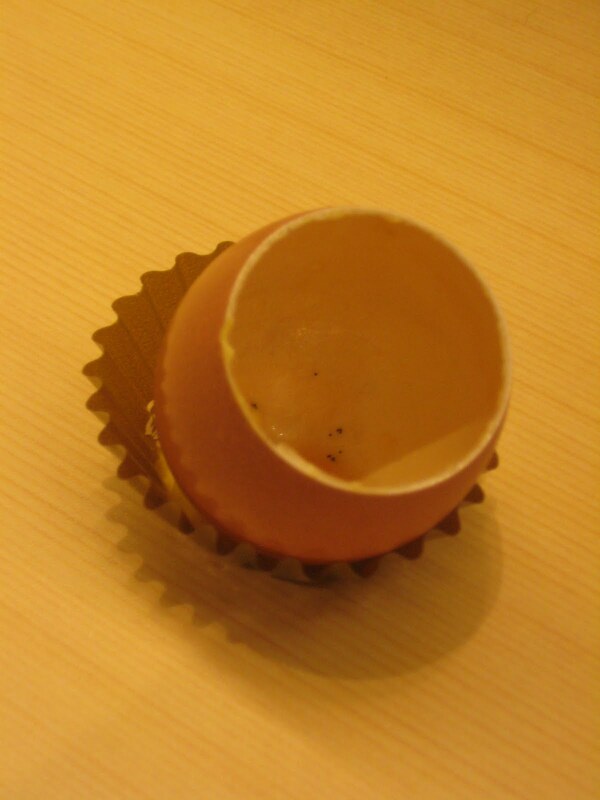 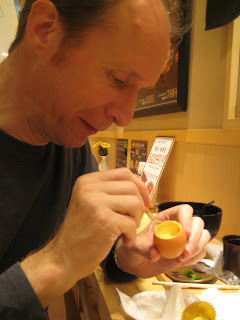 On sunday, Tatsuya introduced us to some egg desserts that were much sweeter and rather like creme caramel. 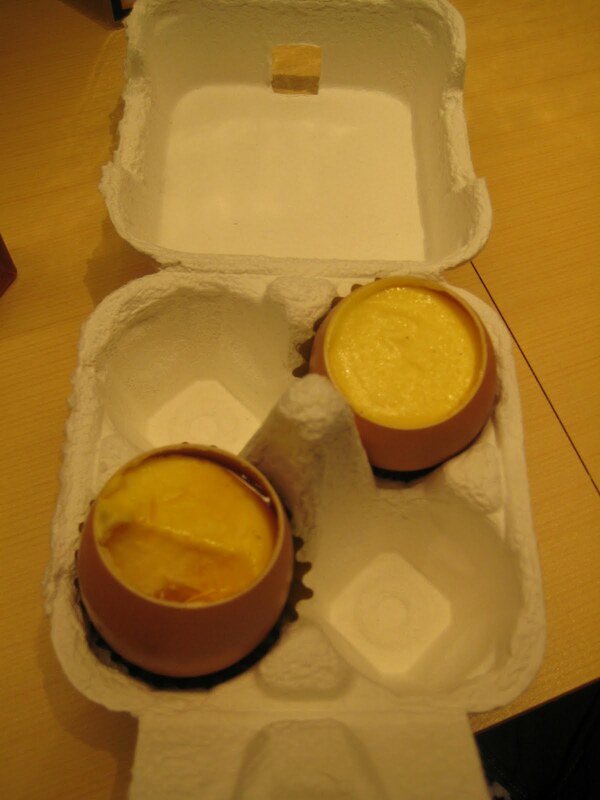 They came in an egg carton and were beautifully presented in their shells, with the top cut off to reveal the cream.